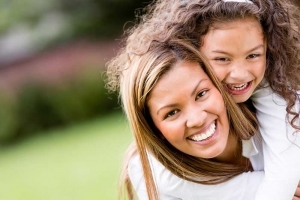 Do You Need a Root Canal or Other Form of Restorative Dentistry Here in Bloomington? Experiencing tooth pain is quite literally some of the worst pain any of us have ever experienced in our lifetimes. However, if a tooth can be saved, enduring a little root canal pain is more than worth it to ensure that you keep one of your own teeth. As a dental practice that has served the Bloomington community for years, we want to ensure all of our current and future patients that saving a tooth is always our objective, as a root canal price is literally a fraction of the cost of dental implants. Furthermore, there is nothing better than keeping all of your teeth, regardless of how far technology has come with respect to the type of affordable dental implants that are available. Now, one thing is certain, sometimes a tooth crown or cap simply isn’t possible due to tooth decay or oral disease has gone too far and it simply isn’t possible to salvage. When this is the case, it’s important that your tooth replacement is executed by a dentist that uses the absolute best technology and materials available. Listen, as a service provider and trusted member of our wonderful Bloomington community, as stated, we will always look to save teeth first; however, when that is not possible, we will ensure we use the best materials and most technologically advanced procedures for your tooth extraction. Often times, and most frequently based on our age and current lifestyle, permanent dentures are a better alternative than a dental implant. Dentures have come a long way from the old jokes of “fake or snap-on teeth,” to finely crafted and technologically advanced affordable dentures. Today’s denture solutions are fantastic for many people! Many of us have had our wisdom teeth removed. I had to take mine out JUST as I started college, h undreds of miles from home! Most folks generally get into their early 20’s, and the wisdom teeth have formed at least 2/3rds of their roots by this time. This is when most practitioners feel it is best to engage in wisdom tooth extraction. Look, wisdom tooth removal isn’t something that we really want to debate for too long. Our mouths simply don’t have enough room for this 3rd sent of molars. Additionally, we bring up age above to outline that, statistically, younger patients have overall reduced rates of complications with wisdom teeth removal than that of older patients. Younger patients simply heal faster, so, if at all possible, get them taken out once the roots have developed at least 2/3rds of the way. Restorative Dental procedures, from crowns, caps and root canals, to replacement teeth that come in the form of implants, bridges and dentures are all procedures we have been executing here in Bloomington for years. 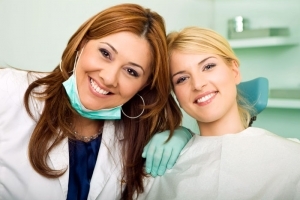 If you are looking for an experienced dental team to care for you, we strongly implore you to read the rest of the pages within this site, then head over to the “About Us” section and schedule an appointment with us. During this consultation, for those of you requiring a tooth extraction, we’ll let you know what the dental implants cost will be with zero hidden fees. We’ll outline a plan together that is both proactive as well as affordable. If you are looking to improve your smile, which many of our patients are wishing to do, we’ll look at all forms of teeth whitening and determine which procedure is the most appropriate for you. Ok, so, head on over to the About Us section and schedule your consultation! We’re looking forward to meeting you!